There was no breaking news elsewhere that demanded attention. 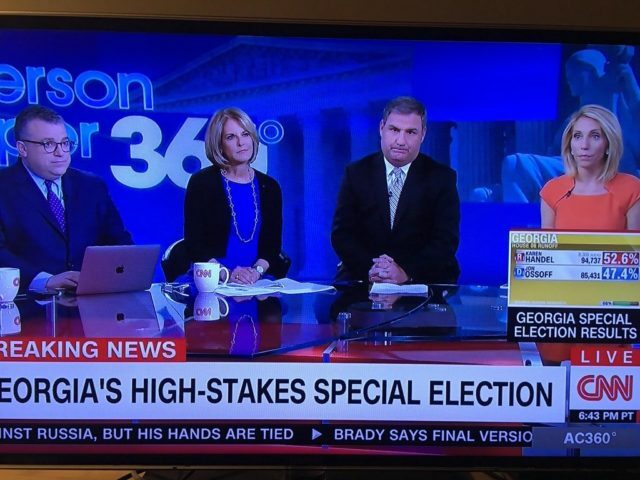 CNN merely cut back to a group of talking heads. CNN has taken a defiantly oppositional posture since Trump won the November election. It has focused obsessively on the Russia conspiracy theory, to the exclusion of coverage about what the Trump administration is actually doing and what voters really care about. It would rather censor than cover the news, and Tuesday night was no exception.